The following is a list of suggested readings that provide insights into the art and craft of teaching, the dynamics of university settings, and research in the field of teaching and learning. This is not a comprehensive list but would provide a good start on a bookshelf (traditional bookshelf or tablet reader bookshelf) of books on effective teaching. Please email me if you have suggestions of other books to add to the list. Arum, Richanrd and Roksa, Josipa (2011). Academically Adrift: Limited Learning on College Campuses. University of Chicago Press. The authors look at data from the Collegiate Learning Assessment (CLA) and the National Survey of Student Engagement (NSSE) that found that more than a third of students show no significant improvement in learning over four years of college and discuss what universities should do to get students more engaged. Many aspects are big-picture university issues, but some issues can be addressed in individual classrooms. Bain, Ken (2005). What the Best College Teachers Do. Harvard University Press. Bain’s book is a good complimentary reading for more practically oriented books, such as “Tools for Teaching” and “McKeachie’s Teaching Tips.” Bain takes a more philosophical approach to the craft and calling of teaching. The focus is on understanding the subject one teaches and being able to convey enthusiasm for the subject that captures the students. Davis, Barbara Gross (2009). 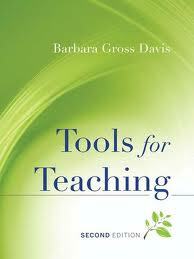 Tools for Teaching (2nd edition). San Francisco, California: Jossey-Bass. A helpful practical guide for college teachers, offering advice on a wide range of issues – from testing to creating a student-center classroom. This is the book’s first update since 1993 and includes new research on trends in learning and implications for technology use. Of particular assistance for new teachers is her discussion of how pre-testing can help teacher be more effective in developing instruction. Duarte, Nancy (2008). slide:ology: The Art and Science of Great Presentations. O’Reilly. Presentation slides — PowerPoint, Keynote or Prezi — have become a major component of undergraduate instruction. But just because presentation slides are used doesn’t mean that instruction is improved. 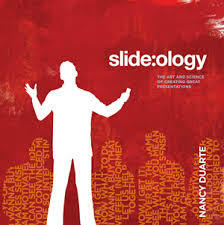 Duarte provides a number of strategies of how to make slide presentations more effective. Highet, Gilbert (1989). The Art of Teaching. Vintage Book Editions. Don’t let the copyright date of the book make you think that the information included would be out of date. One aspect of teaching is keeping up with the changing trends of student demographics and interests, technology advances, and the job market. But Highet, whose book was originally published in 1950, goes to the heart of fundamental issues about teaching — purpose, kindness, and evaluation. Khan, Salman (2012). 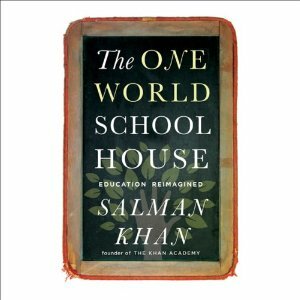 The One World Schoolhouse: Education Reimagined. Salman Khan has become a leader in online education with his Khan Academy (khanacademy.org), with more than a thousand video tutorials. His teaching experience began when he helped tutor his cousin so she could pass an important math test. His book both discussed the power of online education and also provides a good overview of learning theories, which he discovered in the process of learning to be a better teacher. Light, Richard (2004). Making the Most of College: College Students Speak Their Minds. Harvard University Press. Interested in seeing how undergraduate students could become more engaged as learners, Light and his colleagues at Harvard interviewed students and conducted surveys to find out what students found meaningful and motivating about their college experience. Some insights are helpful to us as individual teachers and some findings would be useful to college and university administrators. McGlynn, Angela Provitera (2001). Successful beginnings for college teaching: Engaging your students from the first day. Atwood Publishing. McGlynn wrote the book to help new college teachers. Using research on teaching and learning, McGlynn offers a range of do-able approaches for motivating students and creating more active learning in the classroom. She also emphasizes how teaching strategies can promote a more inclusive classroom environment and recognize and promote student diversity. Sperber, Murray (2000). Beer and Circus: How big-time college sports is crippling undergraduate education. Henry Holt and Company. Depending on your outlook on collegiate sports, this can be an annoying or affirming book to read. Sperber uses data, including college class sizes and student reviews of their college experience, to present the case that universities with high-profile athletic programs reduce the emphasis on quality teaching and learning. Stephenson, Fred (2001). Extraordinary teachers: The essence of excellent teaching. Andrews McMeel Universal. This book is a great resource for those who are interested in developing a written teaching philosophy or are trying to see how their own experience can help them be an effective teacher. The book is a collection of essays written by teachers who have received the University of Georgia’s top teaching award. 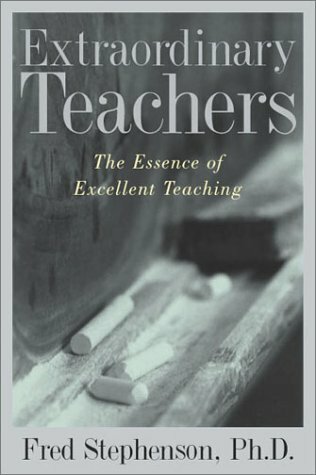 Stephenson begins the book with a section describing the qualities that make for excellence in teaching. Svinicki, Marilla and McKeachie, Wilbert J. 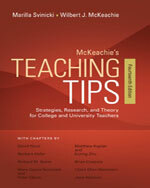 (2014) McKeachie’s teaching tips: Strategies, research, and theory for college and university teachers (14th edition). Wadsworth Cengage Learning. 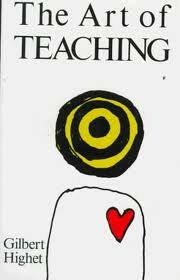 As a new TA or teacher, if you have time to read only one book about teaching, this is the book. Filled with practical advice and resources for learning more on topics from test construction to dealing with discipline problems. The story discusses a program at the University of Texas to help high-achieving students from low-income families be more successful in college. Chemistry professor David Laude is the drive behind the program, which started with strategies he used in his own chemistry classes to help all students be successful. Many tips that can be used regardless of subject area you teach. Young, Jeffrey R. and McCormick, Tim (2012). Rebooting the academy: 12 tech innovators who are transforming campuses. The Chronicle of Higher Education.